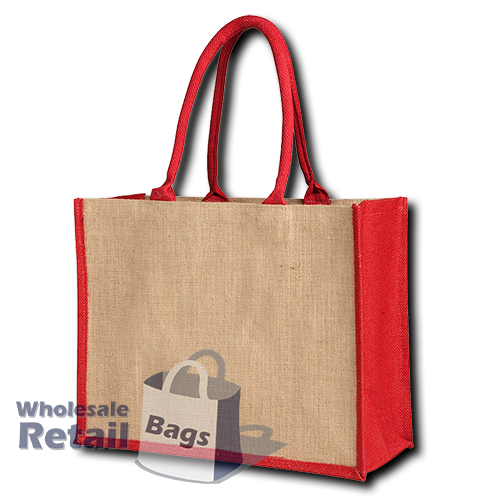 The contrast jute bag is a popular bag in both retail and marketing, with customers commonly match the contrasting colour of the gusset to the dominant colours in their logo. The gusset colour really helps make a statement, and will help your brand stand out from the crowd. The contrast jute is the same dimensions as fashion jute bag and the fashion juco bag. The colours available for the contrast jute bag reflect the gusset colour only, the main body of the bag is natural jute as pictured.